Another contemporary stylized sculpture (verging on an abstract sculpture) by contemportary Chinese sculptor Zhang Yaxi. 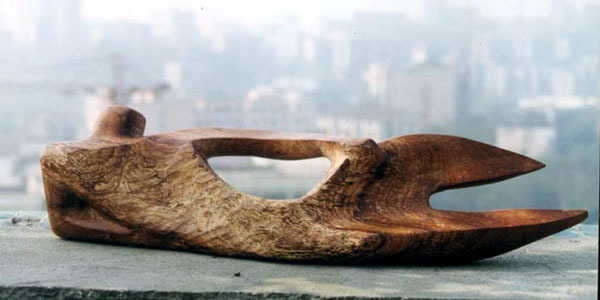 Photographed from the ledge of the artist's rooftop garden in Chonqging, the artwork below is an original sculpture in wood - which can be made available as a limited edition bronze sculpture (one of a series of 8). Payments accepted via either US or UK bank or via Paypal, through Zhang Yaxi's agent.